Did you know that many people who have struggled with addiction have found that writing about their experience helps them on their road to recovery? 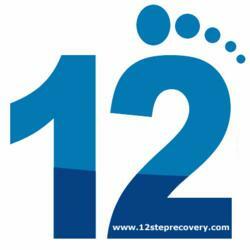 The 12 Step Blog at http://www.12steprecovery.com is an excellent place to post about the struggles with addiction in a safe and anonymous environment. Every individual has a need to listen and to be heard. For those who struggle with addiction, having a place to write about every aspect of their addiction and recovery, and being able to go back and reflect on their journey is invaluable to the healing process. It also helps to be able to read what others have said about their own issues, difficulties, and triumphs as they have battled with addiction. The newly redesigned 12 Step Blog provides an outlet that is available to those who suffer from addiction 24 hours a day, each day, regardless of where they are in the world. This site is helpful for anyone who has ever found themselves needing a place to “vent” about their frustrations or temptations, or who has ever read or experienced something that they thought to themselves, “I wish I could share this with others that are going through what I am going through, it really helped me and I know it could help others?” Maybe they have even found that it just helps if they write down their recovery efforts and feelings on a weekly or daily basis? The blog is fantastic as it gives them a secure place to share their observations and knowledge with other individuals all over the world to help both themselves and others as they grow and heal from the effects of addiction. As they travel the path of recovery they will find that the journey does indeed get easier when they avail themselves of as much assistance as possible. Blogging at this site will indeed make that road easier to walk. To sign up for a free account, or to learn more about how the 12 Step Blog and the additional resources available at this web based community can help them and their loved ones in their struggle with addiction and recovery, please visit their website at http://www.12steprecovery.com.